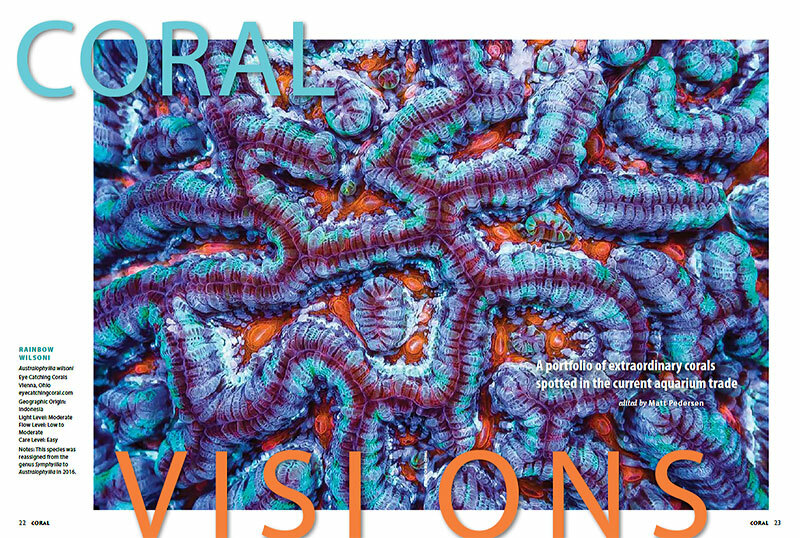 CORAL Magazine’s CORAL VISIONS for September/October 2017 tempts you with a Rainbow Wilsoni shared by Eye Catching Corals. 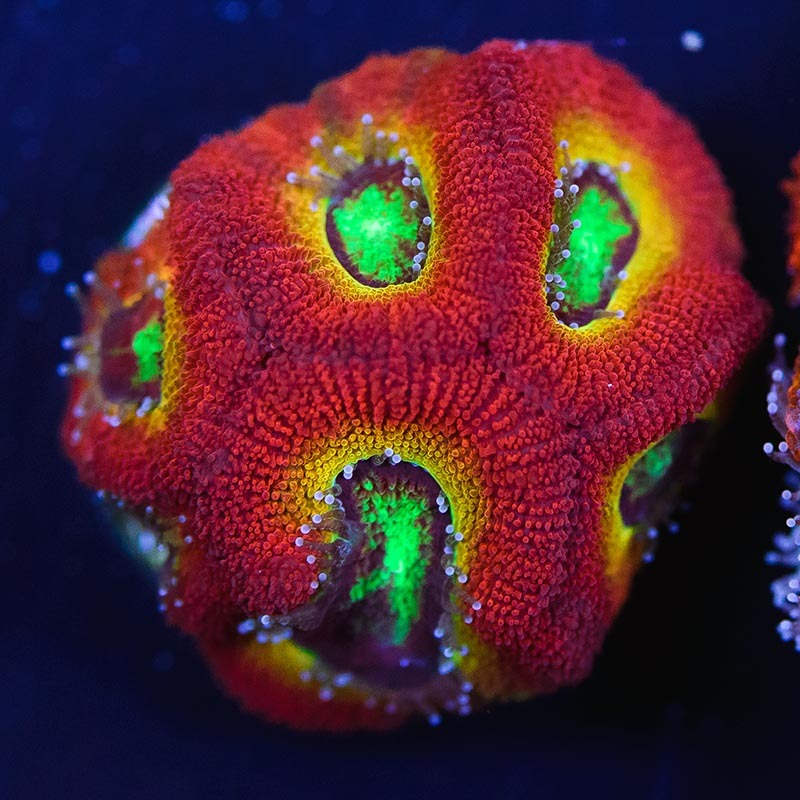 Every issue, some of the best coral collectors and vendors around the globe gather up their most outstanding coral specimens and submit them for inclusion in CORAL Magazine. 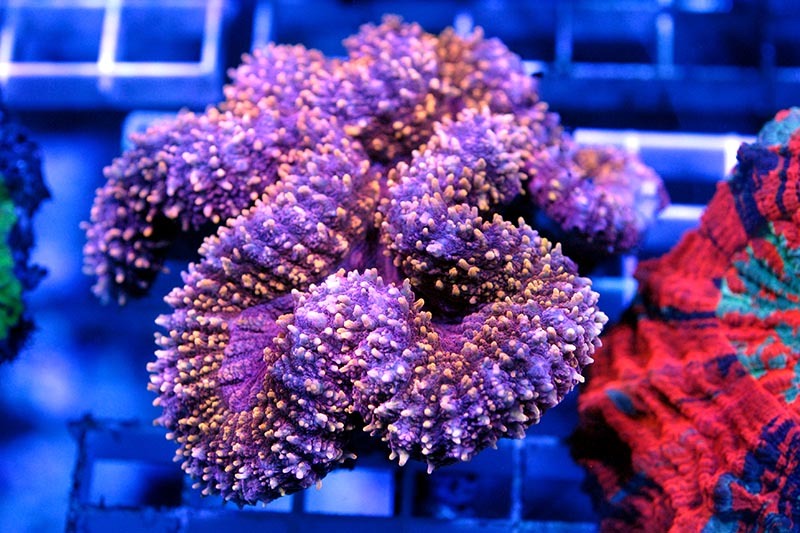 We are always faced with a dizzying array of choices, and for each coral honored with a highly-coveted spot within the pages of the magazine, many exceptional candidates have to be passed over. Notes: These can live in just about any lighting situation, but adjust to high lighting slowly. Offer lots of food, and utilize LED blue / actinic spectrums for best color. 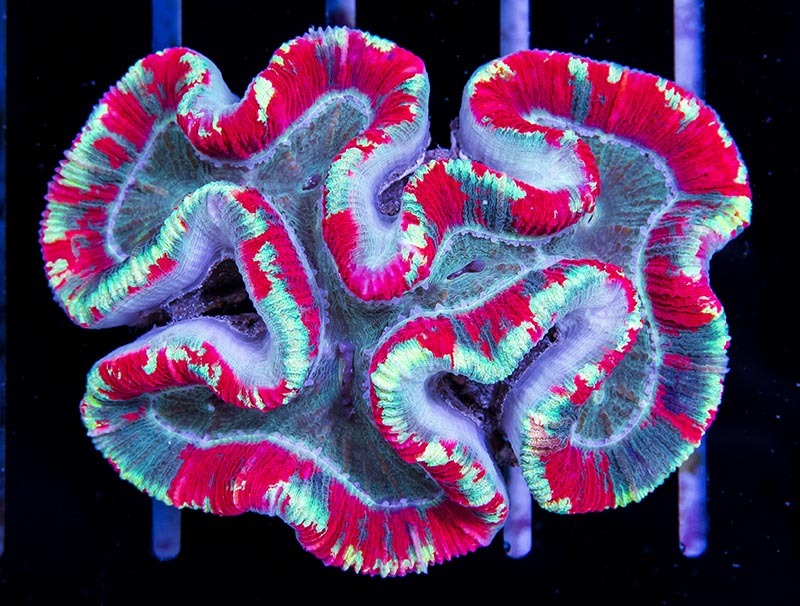 Notes: This coral will benefit from target feeding. 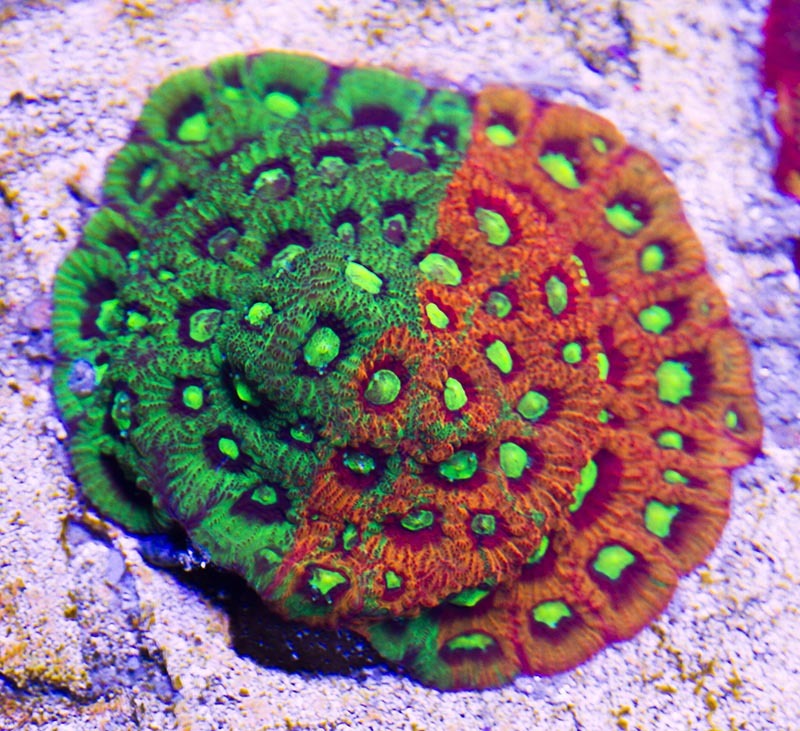 RC Rain of War Favia, by Cherry Corals. Notes: This spectacular Favites develops random streaks of either orange or green. 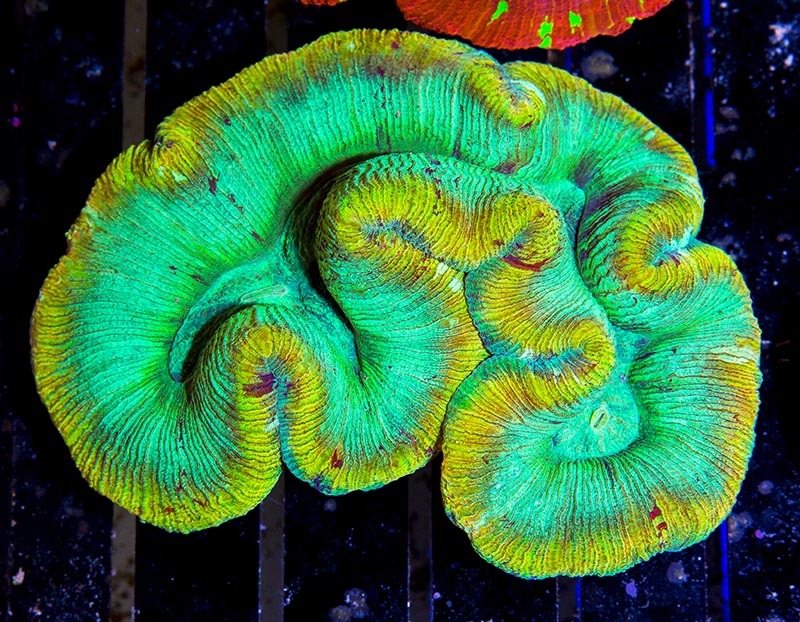 A beautiful two-toned green Trachyphyllia, from Eye Catching Corals. 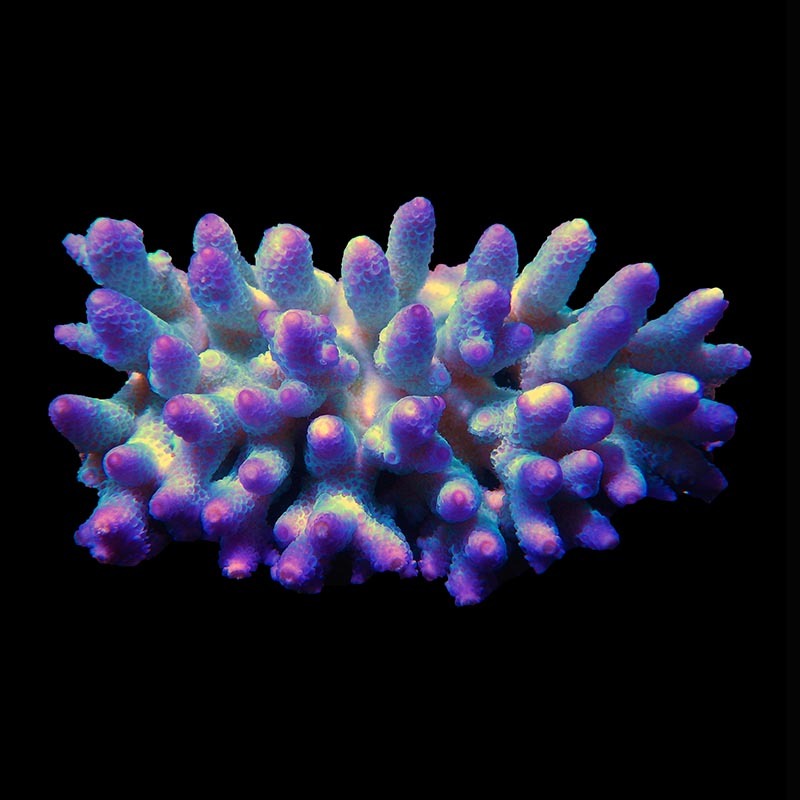 A high-contrast Australian Trachyphillia, from Eye Catching Corals. 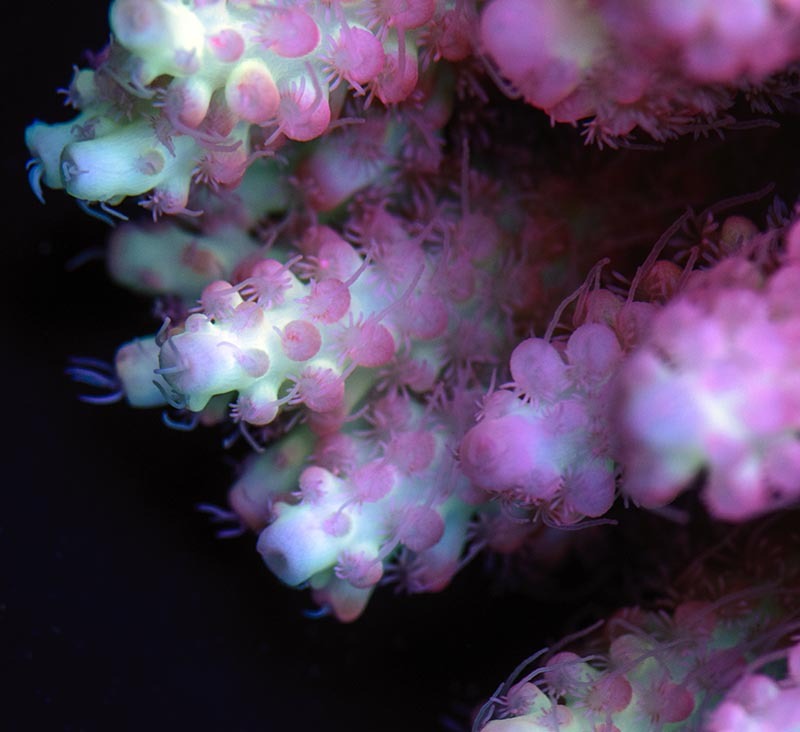 A coveted Strawberry Shortcake Acropora, shown here by Carolina Aquatics. 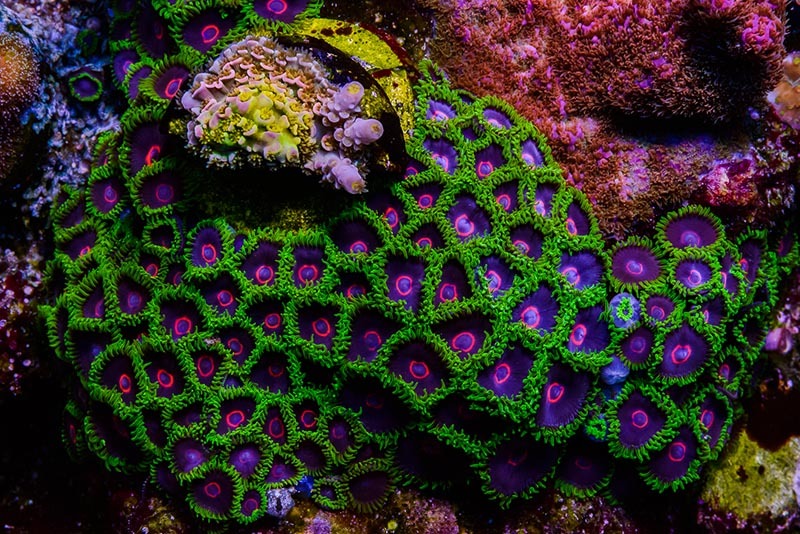 The Aqua Medic Live Dragon Scale Spathulata, a vivid Acorpora specimen. 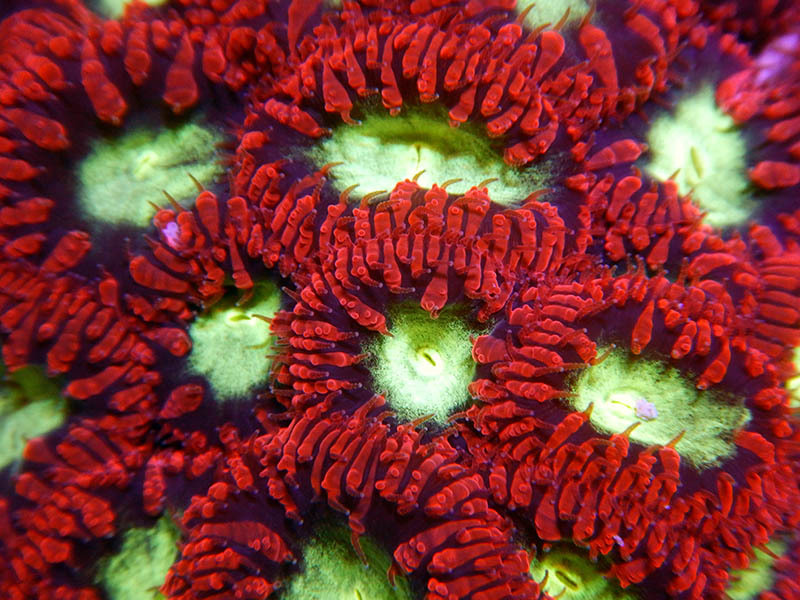 Cairns Marine’s red and mint-green Posie Coral (the Australian common name for Blastomussa spp.). 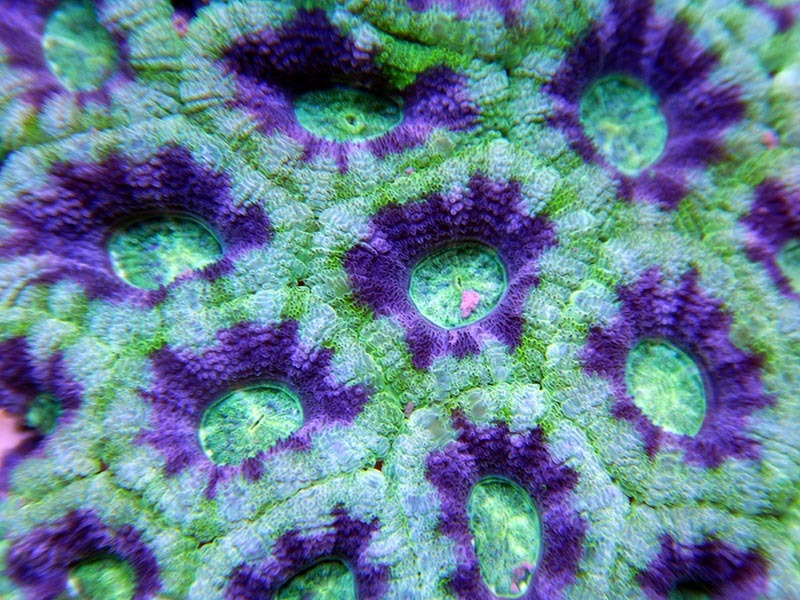 Notes: Blastomussa corals greatly benefit from high feeding levels. 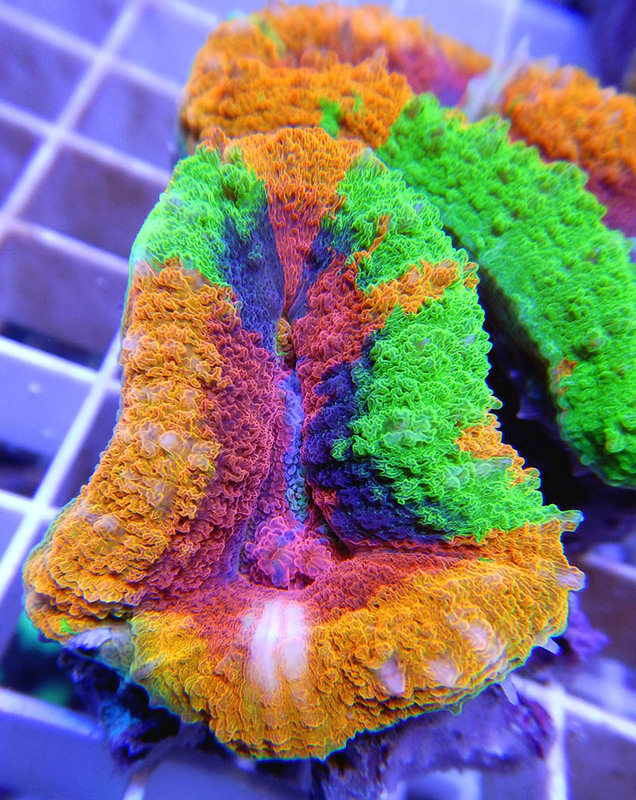 An exceptional 4-color rainbow Lobophyllia, discovered in Australia’s waters by Cairns Marine. Notes: Lobophyllia like this will benefit from direct target feeding. Really enjoy the online pics that didn’t make it in the coral visions section of Coral magazine. The more pics the better. They make Coral much more approachable than many of the overly technical articles. Thanks for the great work. Really enjoy the online pics that didn't make it in the coral visions section of Coral magazine. The more pics the better. They make Coral much more approachable than many of the overly technical articles. Thanks for the great work.